Congratulations!! You just got married, and now it's time to go spend some one on one time with your new hubby. 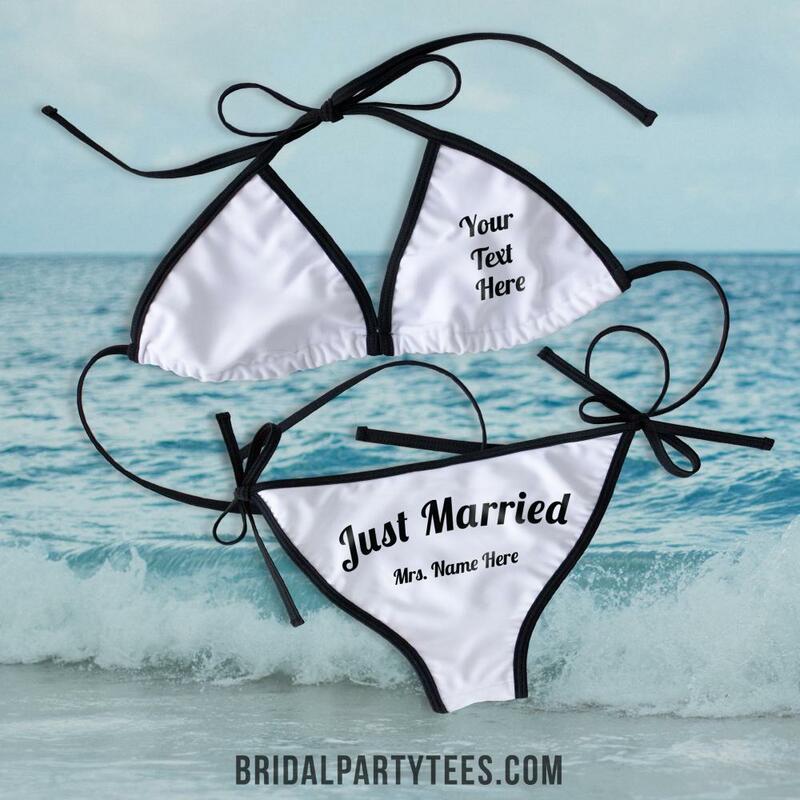 It's time for your honeymoon and you want everyone to know you are the newlyweds. With this custom bikini you can show off your new last name.